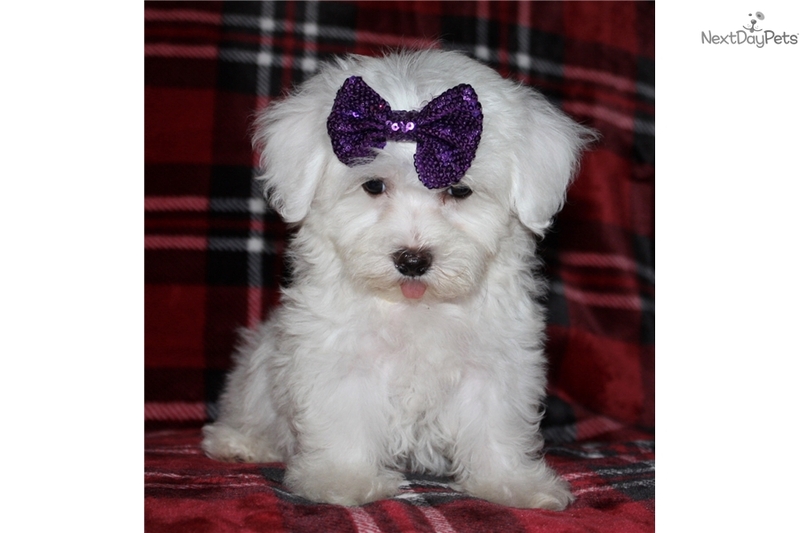 This Malti Poo - Maltipoo nicknamed Bella sold and went to a new family. This little Maltipoo is so sweet. Her name is Bella. She is ready to go Middle of October. Bella is very full of life and fun. 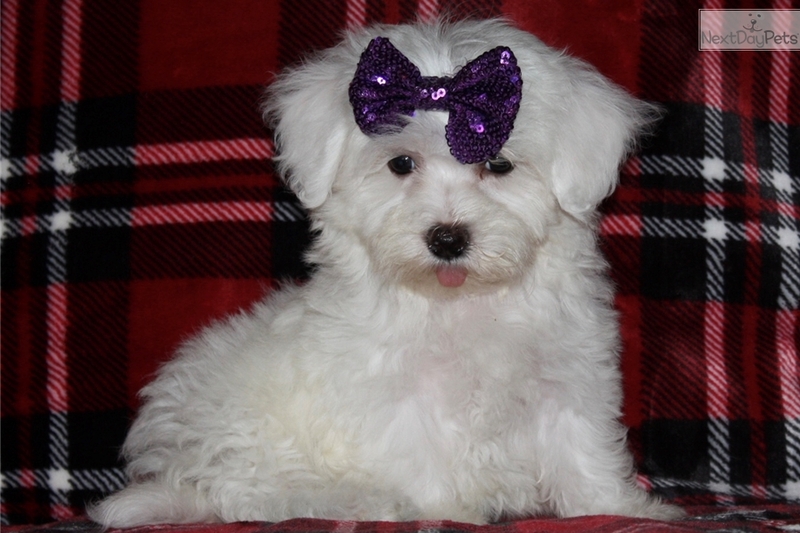 She is a mix between a Toy Poodle mommy and a Maltese Daddy. She will be about 5 to 8 pounds full grown. She will come vet checked, and will have received their first shots and deworming. There is a 1 year genetic guarantee. 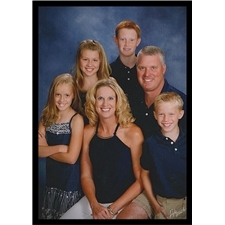 For more information visit our site at www.denningfarms.com or call at 319-931-3033 and ask for Tricia.